counties in the State of Ohio. all our hunting is fair chase. In the summer time, we film groups of 5 to 6 Pope and Young bucks feeding together in our fields. 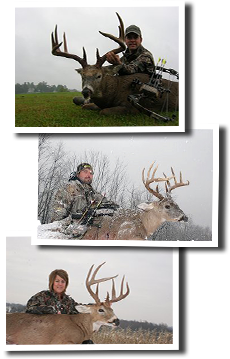 fully guided whitetail and semi-guided turkey hunts. Home cooked meals and lodging are included in the fees for the whitetail hunts.